Every day, disabled women are choosing surgery because there are no usable toilets outside their home. Sometimes it&apos;s an ostomy bag for poo or more frequently a supra pubic catheter. bag or through a valve into a bottle/toilet. It&apos;s a big life changing decision. Getting surgery for a catheter is the most talked about topic within women&apos;s forums and social media groups. Read above one woman&apos;s experience. The reason is not often for medical purposes – but simply because toilets are not accessible / available. They don&apos;t have the right amount of space or equipment to be usable. Sometimes they aren&apos;t provided at all or are padlocked. 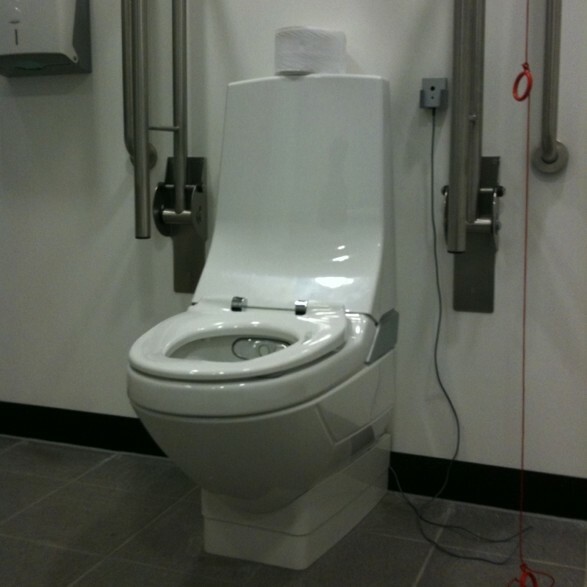 If you need a hoist then you only have a choice of around 1000 toilets – across the whole of the UK or Northern Ireland. There may be none in the county you live. Catheters can cause regular infections and several other medical problems – yet bring an element of liberation and the ability to leave the house. They don&apos;t remove the need to manage menstruation hygiene though and many women also choose contraceptives or surgery to control this (oral contraceptives pose a high risk for blood clots in women who aren&apos;t active) – because they can&apos;t get on the toilet. Disabled women experience the most discrimination when it comes to using toilets. They take the most life changing health risks. This has to change. Have you had surgery because of no usable toilets? Tell us in the comments below.